Stocks declined into the Federal Reserve announcement, which is a much better setup than a rally into the announcement. The Fed is keeping rates steady and looks like it may not hike for the rest of the year. That’s got shares slightly higher on the day, as bulls cheer the move. Let’s look at the S&P 500 to start off the top stock trades list. Some investors like the index, others like the SPDR S&P 500 ETF (NYSEARCA:SPY). Either way though, they tell the same story. You know the old saying, “Don’t fight the Fed?” Well, don’t. They basically just said they are not looking to do any derailing of the stock market. That should bode well going forward and so far, investors are reacting favorably. Of course, the press conference could always change things, but as it stands, the Fed is dovish and that’s reason enough not to fight it. 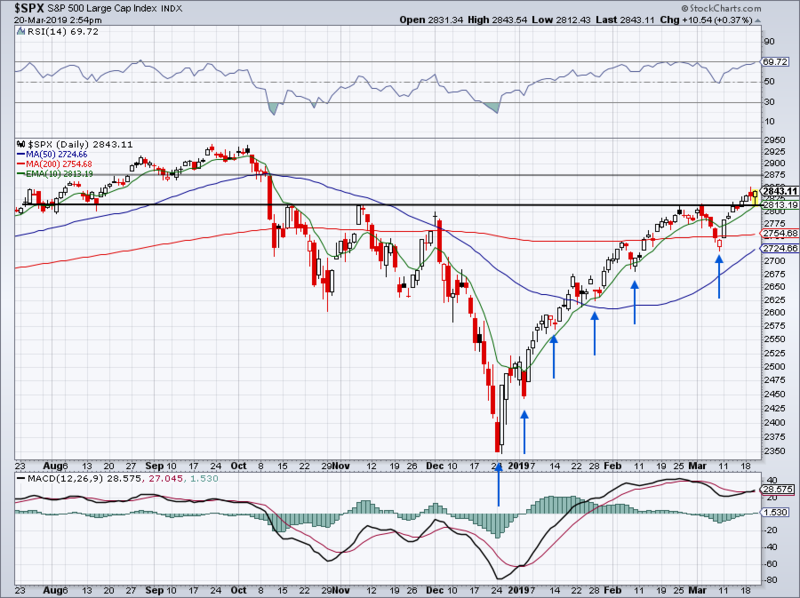 But the S&P 500 made a sweet bounce off the 10-day moving average and prior fourth-quarter resistance near 2,810. So long as these levels hold as support, there’s little reason to get bearish. The index has made a series of higher lows and so far the trend is higher. Don’t fight the Fed and don’t fight the trend. That is, until they change their tone. 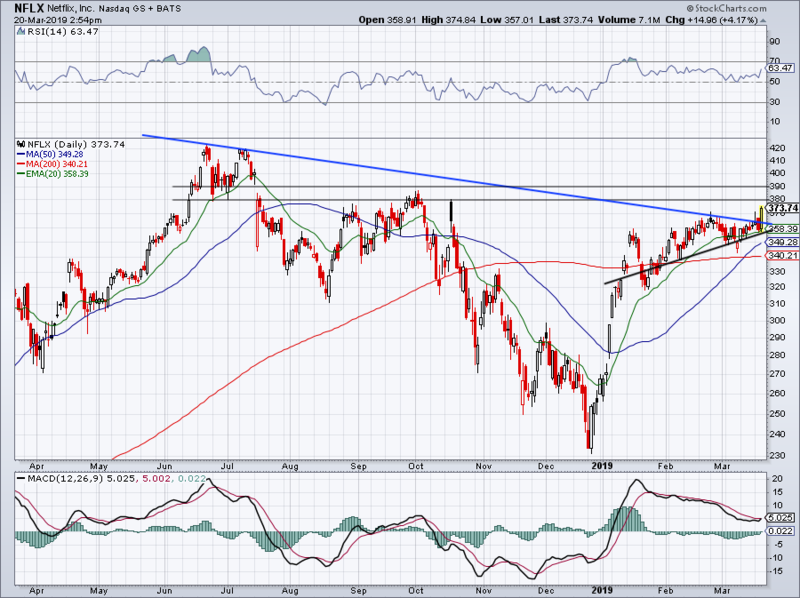 Are we finally getting the breakout we’ve been waiting for in Netflix (NASDAQ:NFLX)? This choppy market has resulted in painfully long wait times for these types of swing trades, but if we don’t get stopped out, they’re showing signs of life. With Netflix, it seems like every trader on Twitter has had their eye on this one. The 20-day moving average is acting like a springboard for NFLX as it propels over downtrend resistance. This downtrend has batted NFLX down several times over the past month, frustrating a number of investors. But with Wednesday’s 4%+ move, investors are hoping the gains will stick. $380 is my first target and $390 doesn’t seem unrealistic if the overall markets hold up. Even after FedEx (NYSE:FDX) missed on earnings and revenue estimates and cut its full-year outlook, the stock isn’t get too hammered on the day. Let’s keep it simple. 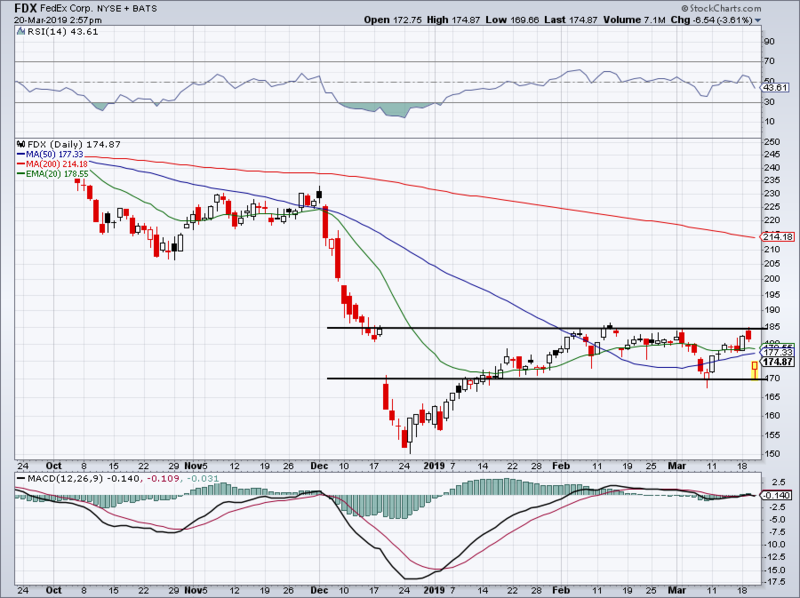 It’s imperative that bulls keep FDX stock over $170. Should it hold, it will solidify the stock as rangebound between $170 and $185, giving bulls hope that some upside could still exist. More important than upside though, is protecting the downside. Should $170 hold, it means FDX won’t take out the March lows, which means it won’t revisit $150. So the bottom line? FDX needs to stay north of $170, otherwise it’s in trouble. Like FedEx, keep it simple with Nio (NASDAQ:NIO). The electric car group — Tesla (NASDAQ:TSLA) included — has been struggling lately. 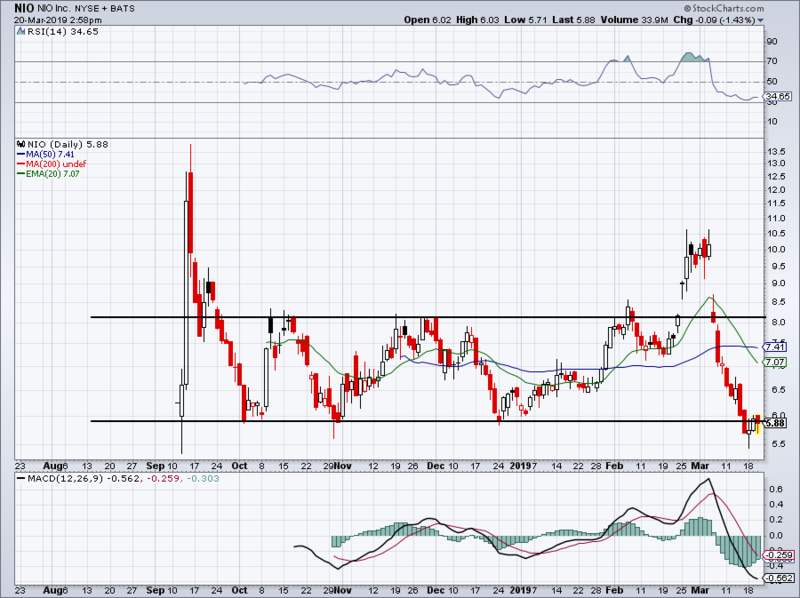 In this case, NIO has been trading between ~$5.90 support and ~$8.10 resistance. Struggling with the former, bulls could be in trouble should this area turn to resistance. If it does, the $5.35 lows are on the table and below that, Nio is in no man’s land. 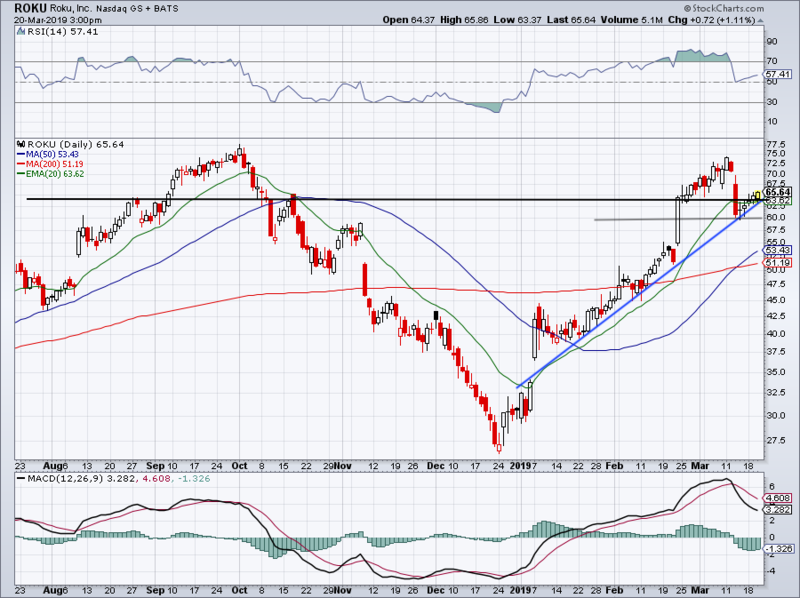 Roku (NASDAQ:ROKU) has been tough. I love the name as an investment, but as a trade, it looked it was setting up as a nice short this morning. The afternoon bounce has me rethinking it though.